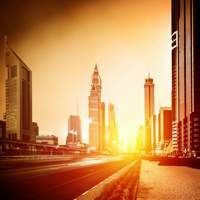 Downtown Dubai is amongst one of the most popular communities in Dubai for singles and families. Modern, luxurious and full of amenities with walking distance are of great appeal. 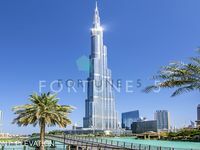 The views of the Burj Khalifa and being walking distance to the Dubai Mall are a huge pull. The Dubai Mall, aside from its unparalleled shopping, also offers an incredible selection of casual dining, convenience (dry cleaners, tailors, bank outlets ...) and nightlife. The modern buildings are of a very high standard and often have a strong set of facilities such as swimming pool, gym, spa, children's play areas and squash courts amongst others. Many of the buildings have incredible city views and of the Burj Khalifa. Excellent connectivity to Sheikh Zayed Road and other highways is a huge attraction as well as the Metro station. Traffic during rush hours and weekend evenings can be bad on some roads around Downtown. Internal transportation is also present with a tram network. 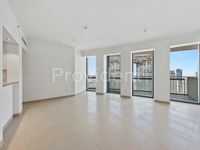 The location is also an excellent choice for those working within Downtown or nearby business centres of DIFC (financial centre), Business Bay or Deira. Apartments for rent in Downtown, due to the location, amenities and quality, are on the higher side compared to other areas of Dubai. However, they have highly sought after. Apartments of all sizes are available from studios to large penthouses. The area is popular with people from all nationalities and ages due to its diverse offerings. 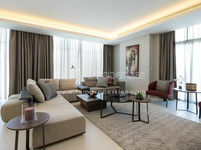 Many of the higher end luxury buildings may have serviced apartments where by additional services such as basic upkeep and cleaning is included in the rent. Additional hotel like services may be available on pay per use basis. In short, there is a huge selection of apartment types with varying price ranges and amenities. There are many of schools within an easy reach and plenty of spaces and activities for children. The pavements are beautifully maintained and provide a safe, beautiful walking/jogging spaces. 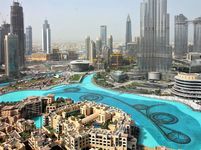 Given the variety of apartments and sub-locations within the community, it is recommended that potential tenants view a few different types of apartments before renting in Downtown Dubai.